Originally released in 2009 on the Nintendo DS, Mario & Luigi: Bowser’s Inside Story is the third entry into the Mario RPG series. It is also the latest to receive Nintendo’s now trademark ‘remaster and port’ treatment. However, this time rather than making a jump onto the new Switch system, it has made the hop onto the massively popular but now somewhat forgotten gem that is the 3DS. Happily, the already great game has been polished up and with a new mode and the same comical writing, it makes the return to the handheld well worth it. 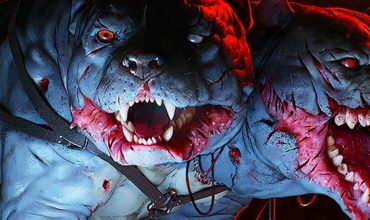 Turn-based action RPGs have a bit of a reputation for being daunting 100-plus-hour epics. Sweeping sagas of giant proportions filled with relationships, magical settings and often what feels like very real stakes. While this may sound wonderful if you’re a fan of the genre, for many of us this can all sound a bit too intimidating. And this is where the kooky Mario RPGs have, over the years, really provided a fun, shorter and slightly easier entry point into the genre. Mario & Luigi: Bowser’s Inside Story basks in the ridiculousness of the world and the story is wonderfully odd. Mario & Luigi: Bowser’s Inside Story basks in the ridiculousness of the world and the story is wonderfully odd. The Mushroom Kingdom’s inhabitants have been infected by the “the Blorbs”. An evil disease that has the Toads and Goombas, in particular, swell up into large, path-blocking versions of themselves. After much well written Mario-themed banter and mayhem, we learn that Fawful (a Beanish with a dramatic penchant for his own version of the English language) is the cause of the illness. In an effort to curb the rampant spread of the sickness, the dapper duo of Mario and Luigi are tasked with finding him and a cure. And this time, Bowser is involved too. After much of the Mushroom Kingdom is sucked into Bowser’s body, all three must join forces in a (mostly) co-operative experience. (Just don’t tell Bowser that he’s working with the good guys.) The story is zany and remarkably funny and it is well worth taking your time to enjoy. While the comedic writing is a ‘carry-over’ from the original game, the new 3DS-version of the game does boast a few audio changes as well as several quality-of-life improvements. Not only do you no longer have to weirdly blow into your handheld, but you can now also fast-forward some of the more tediously slow speech bubbles and cutscenes. First up though, those that have played the DS version will immediately notice substantial visual upgrades. The game not only includes a few extra animations and more details in location and movement, but the game as a whole now looks like the 3DS’ Mario & Luigi: Dream Team in terms of graphics. And despite what the somewhat grainy pictures of the game included in the review may look like on your fancy HD monitor right now, on the smaller 3DS screens the visuals are great. The gameplay, while being rather traditional, works exceptionally well with the story and makes good use of the 3DS’ capabilities. 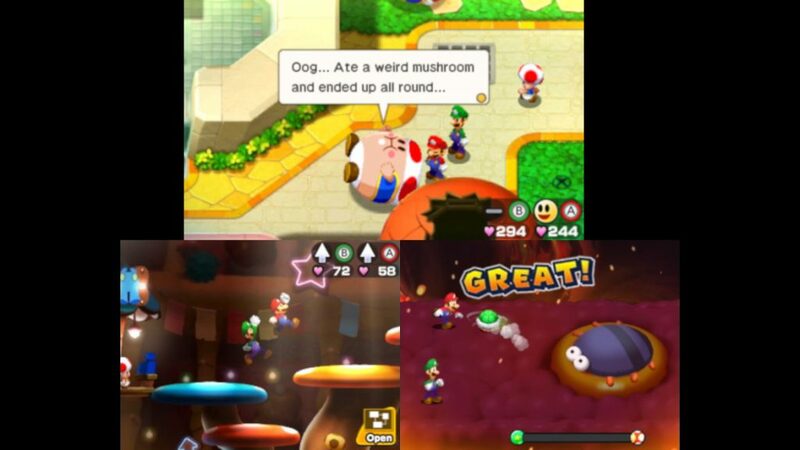 Mario and Luigi’s action takes place almost entirely inside Bowser’s body. And while this could seem restrictive, each area (from the glorious gut to the marvellous memory library of the brain) is unique and the various enemies are ‘inner’-worldly variations of Goombas, Piranha plants and the like. As Mario and Luigi you explore the various body zones with some very light action platforming. Controlling both Mario and Luigi at the same time can be both a blessing and a challenge. The occasional irritating missed platform while jumping (Luigi has the tendency to bump into things and fall offscreen due to no fault of your own) is thankfully offset by a multitude of great combo-abilities. Best among these is smashing Mario on the head to shorten him and filling him up with air to float like mustachioed balloon. As Bowser, you will explore the Mushroom Kingdom, and while the combo move set is not available, Bowser’s solo fire-breathing and epic punch will have you flying and flaming-up the place with ease. Plus, everytime something changes in one world, the effects are felt in the other. Bowser gulping up water has Mario and Luigi swimming to reach a previously unreachable platform. It feels clever and connected in a truly special way. Everytime something changes in one world, the effects are felt in the other. It feels clever and makes the gameplay feel fun and connected in a truly special way. The narrative drives the linear gameplay and while most times this worked well, I did find myself not knowing where to go once or twice. As this game is not really about unguided exploration, this could get a little frustrating, but paying closer attention to the text and making better use of the provided map usually solved any issues (Tip: Search the map for the handy arrows when you get stuck). 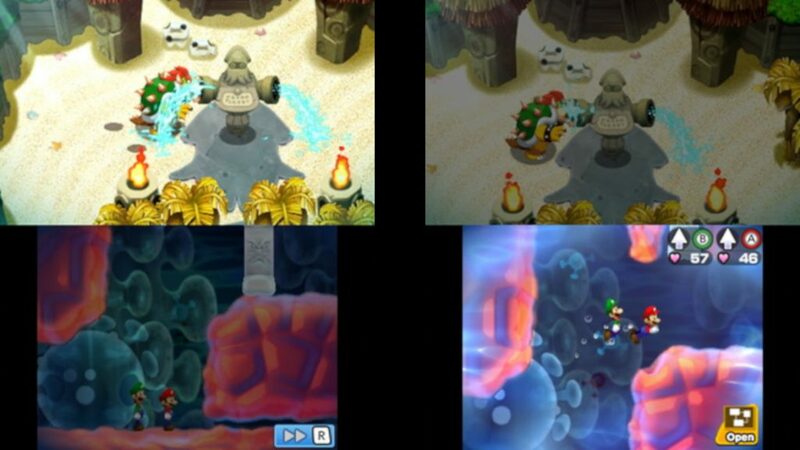 Both as the Mario & Luigi combo and as Bowser, exploring areas will usually culminate in a mini-boss battle. The basic turn-based, timed-move combat is decorated with many unique animations and levelling up consists of earning XP (basic attributes like Defense and Power) and BP (for special moves). Special moves are collected and earned by exploring the world and Bowser’s bodacious bod. While all these moves look great, a few of the more difficult moves are complicated to pull off and one missed stylus swipe can mean a big loss in BP and very little enemy damage. A few more collectables and the use of badges (additional battle system rewarding combo play) supply a little deeper strategy and more spice to the somewhat repetitive and ‘grindy’ nature of RPG play. Occasionally, boss battles are interrupted with mini-games. Some are a pain (the Boo puzzle is terrible for example) but most are great. Some of the best include a literal jigsaw puzzle, an Asteroid-inspired hormone shooter and even a few battles where you hold your 3DS horizontally while sliding your stylus around like a madman. These provide a wide array of creative twists that only the minds of Nintendo could come up with and that make the RPG experience more accessible to newcomers, and interesting to veterans. Despite the creativity mentioned above be prepared for some grinding and repetition, as is the case with most RPGs. The shorter length of the game (probably somewhere between 20-30 hours) means that as long as you’re not binging it – none of this will become too tiresome. In my case, I did have a few small issues with pacing and the management of difficulty. Some boss battles do feel a little on the long side, and while this may not initially seem like a bad thing, at times it felt like the difficulty was increased simply by lengthening the health bar of enemies rather than also increasing their strategic thinking or skill. In those cases, endless, mindless button pressing which may culminate in a loss did not make me excited to tackle the boss again. Similarly, the pacing of the final act, in particular, felt slightly off. And in an attempt to avoid spoiling (essentially a 10-year-old game), all I will say is that I would’ve been happier with a few fewer ‘final’ boss battles. The way the game manages difficulty and the pacing of the final act are small issues though. Even though I have some complaints, after finishing the game the issues feel really rather small in comparison to what it gets right. There is a lot to like about this game. 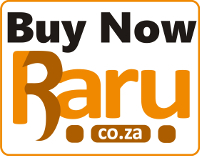 When it first launched a decade ago, it quickly became a critical and commercial hit. Today, the new game has kept all the good of the original, tweaked some of the issues, and it looks much better. What more could you ask for? More content? Well, it’s got some of that too, with a new mode to jump into. 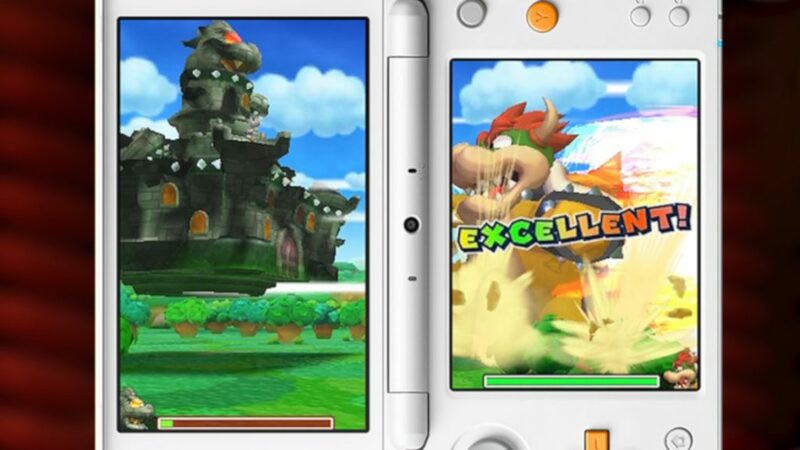 Bowser Jr’s Journey is the new game/game mode included with the 3DS release. 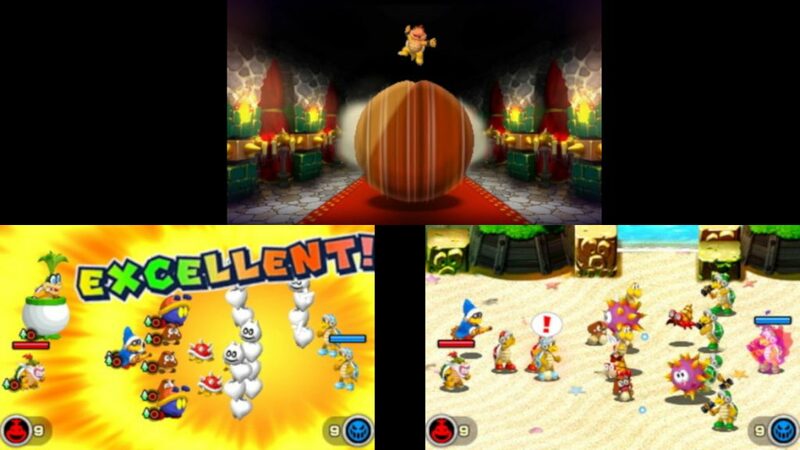 In terms of story, it takes place at the same time as the original game but from the perspective of Bowser Jr. While taking place in the same world, the gameplay is not a turn-based action RPG, but rather has elements of real-time tactical mini-battles. Based on a traditional rock-paper-scissor-type system, this game is about recruiting and assigning a unit in a squad-based battle. After assigning your team of Ranged (throwing), Melee (Ground) and Flying troops you get to sit back and watch short battles take place without much direct user action. While it will not be setting the world on fire, Bowser Jr’s Journey is an enjoyable distraction from/or addition to the main game. Despite being another genre I was not the biggest fan of, the Bowser Jr game was fun enough and quite easy to pick up. The squad selection menus feel a little cumbersome, and Jr is not a very likeable character. However, the quippy writing and the fact the Morton is such a lovable idiot means the while it will not be setting the world on fire, it’s an enjoyable distraction from/or addition to the main game. For those that played the DS version, it is unlikely that the included extras and quality of life improvements will be enough to get you to find your 3DS and repurchase the game. On the other hand, if you have not played the game and are looking for a funny, easy and enjoyable entry into the RPG genre look no further. Despite, not being on the latest Nintendo system Mario & Luigi: Bowser’s Inside Story + Bowser Jr’s Journey is a great game with a great mix of creativity and comedy. 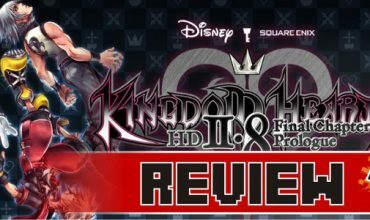 It is the quintessential Mario RPG game and is sure to be a hit if you are willing to give it a go. Updated visuals looks great on the smaller screens. Witty writing is as good as it's been for the series. New mode provides a bit of variety. Great use of the 3DS' abilities. Not enough there if you've already played the DS version. Finale runs a little long. Boss fights just feel longer, rather than more difficult. While the offbeat story suffers from occasional pacing issues (particularly in the final act), with writing this funny and gameplay this enjoyable any missteps are easily forgotten. If you missed the DS version, the updated visuals and additional mode are more than enough reason to dust off your 3DS and try out one of the best Mario and Luigi RPGs around.